Hello Everyone, It is Lisa here with a recap of 2014. We have not be blogging as much as we usually do and maybe a quick recap might help you all understand why. 2014 was one of the worst years of my life personally, We lost my wonderful mother-in-law (Jenn’s Mom) in January after a short but amazing battle with cancer, and we knew this year was going to be hard. 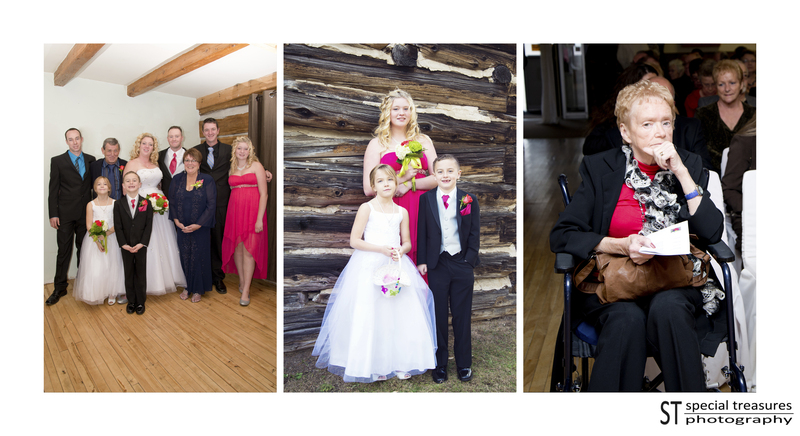 Sharon was the foundation of this family and her loss is felt every single day. She was one of the most amazing selfless, hard working, loving woman I have ever had the privilege of knowing, but I didn’t just know her to me she was a second mom. In February my Papa Valmond passed away and with the emotion still raw from Sharon’s passing and my own Mama not well enough to attend the funeral with us it was another difficult day. 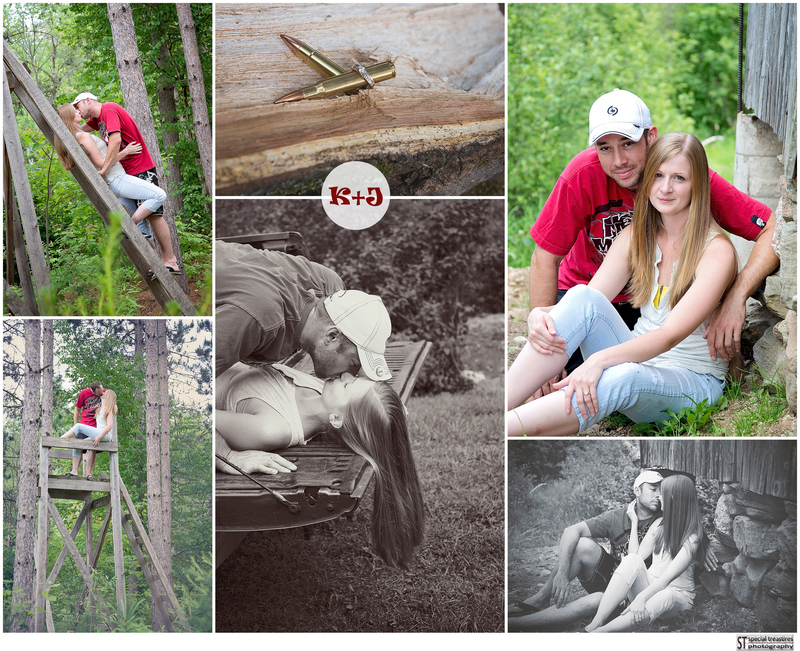 I have so many fond memories of summers with my Papa and visiting Camp Robin Hood. Papa taught me how to use a CB Radio when we would drive together, and our summers on Lake Simcoe and our walks to the Soviet Union. (It was actually a Salvation Army Camp down the road that when I was small I called the Soviet Union) It is difficult to say goodbye even when you know someone has not been well for so long, and the distance of miles make for a lot of guilt that I should have visited more often but now can not. We then watched as my own Mom’s health declined once we were told we had exhausted all treatment options and there was nothing else they could do. Her 18 year battle with Cancer would soon be coming to an end. You might think that when you expect it, it is easier but I disagree, it isn’t. I was truly blessed to have such strong, loving women in my life and to have lost them both was devastating. I still cry often and feel like I can not breath sometimes as the pain is overwhelming. It sometimes feels very lonely not having my Mama to ask advice, or call with good news and sometimes, I have even forgotten and called my mom or Sharon to ask them a question and it is not until I have dialed the phone that I remember…and then cry. You would think that would be as much loss as our family could handle but unfortunately we had to stand by as Jenn’s beautiful Granny lost her battle with cancer as well. Granny was also an amazing woman, I am proud to have know her and loved her and been part of her family, our son is named after her beloved Carson and I will always remember the way she teared up with pride when we told her we were having a boy and he would be named after Carson. 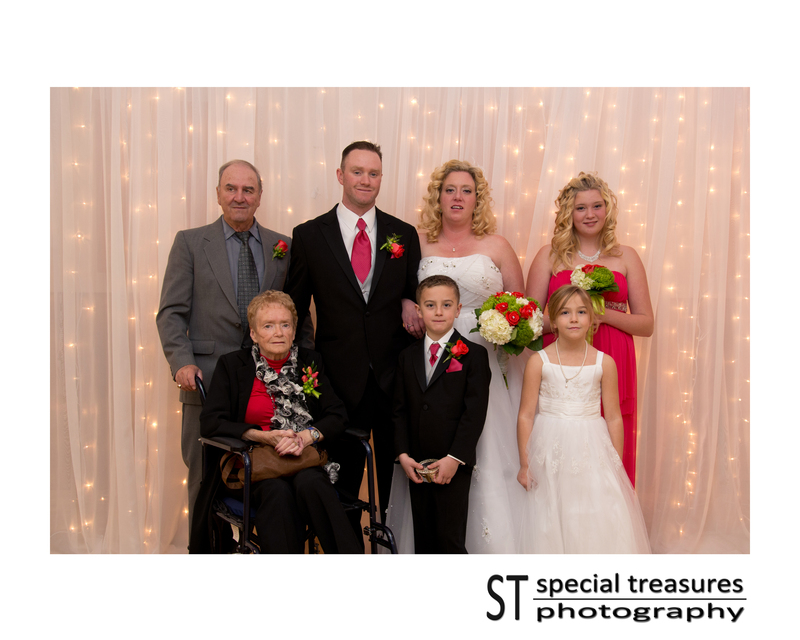 She loved her grand children and great grandchildren very much the way only a Granny can. We miss her very much. 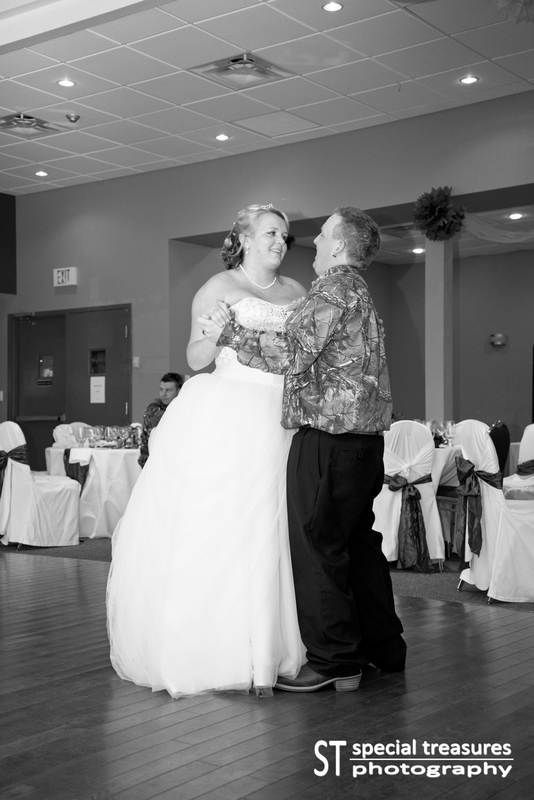 I can’t imagine having to face the last year with out the one person who is my rock, my strength and my best friend my dear husband. Robert I could not have made it through without you, so thank you for being there and dealing with my crazy without complaining. I love you more than words! 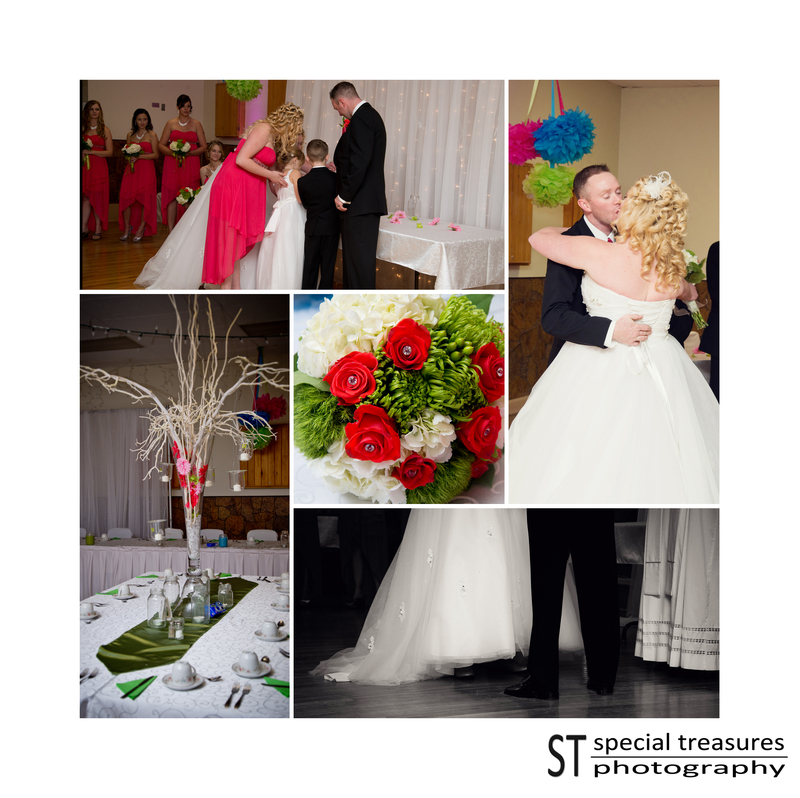 In just one short year the entire dynamic of our family has changed, so you can see why I am personally glad to say goodbye to 2014…however professionally for Jenn and I 2014 was a very successful year at Special Treasures Photography and we had some amazing clients who not only let us be apart of their special days, and life events they made us feel like we were part of their families. Thank you for blessing us with so much success that we can continue to do what we love. To Jenn, you have been my friend and more important my sister when I need one the most, thank you for everything you have done and the things you don’t even realize you do but I know I can always count on you! 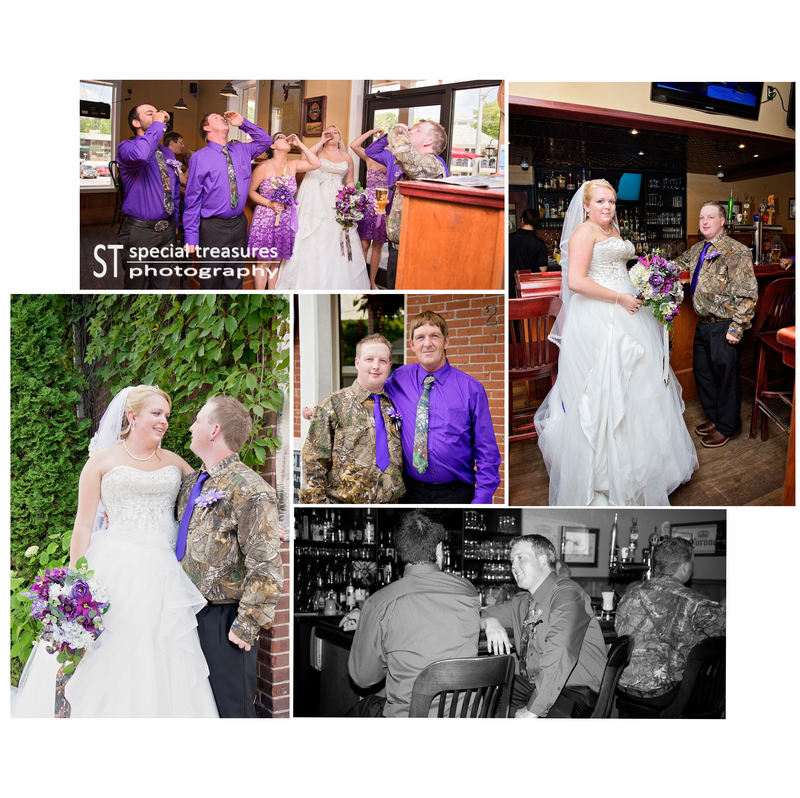 Yes Keith it is me on the phone…thanks for letting me have my sister when I needed her. 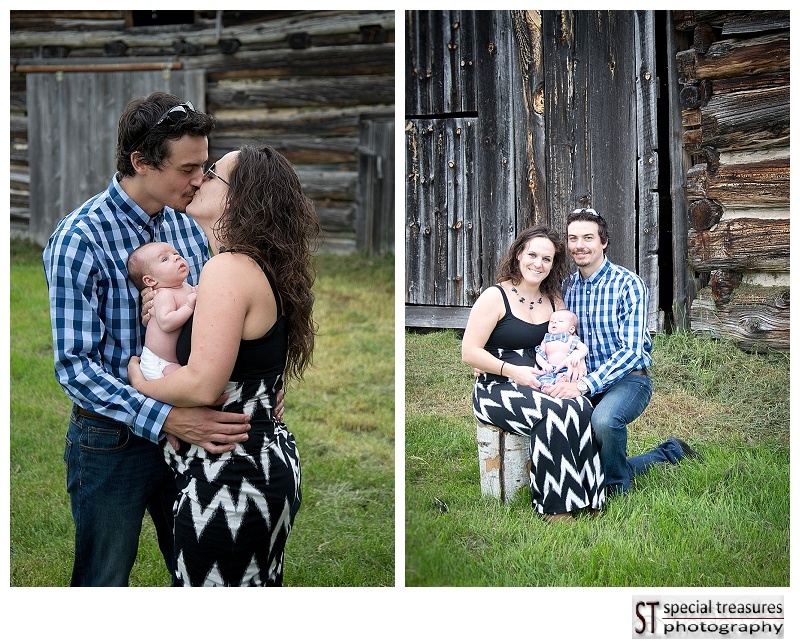 I am so blessed to not only do a job that I love but to share every step with you! 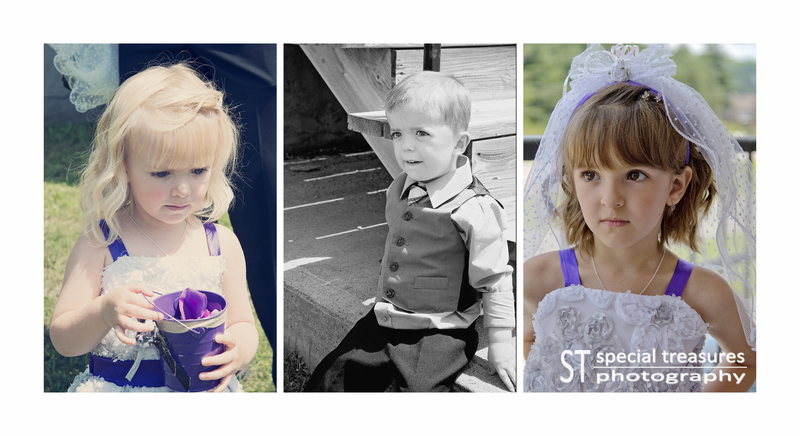 I hope that 2015 brings a much better year for my family especially my children who have been through so very much but have handled it amazingly…Darcey, Brooke and Carson, I am so very proud of you all. To my other sister and brother-in-law, Jackie and Steve, thank you being there through this crazy year, I can’t imagine how much worse it would have been without the amazing family that surrounds us so thank you for being amazing. Happy New Year Everyone, I hope you are all blessed in 2015! 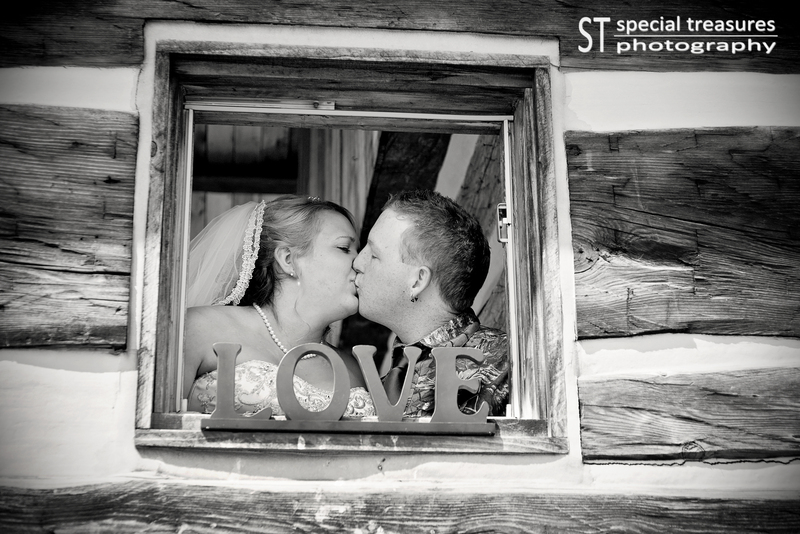 Laura and Travis were an absolute delight to be around, and their special day was such a testament to the Love that they share. 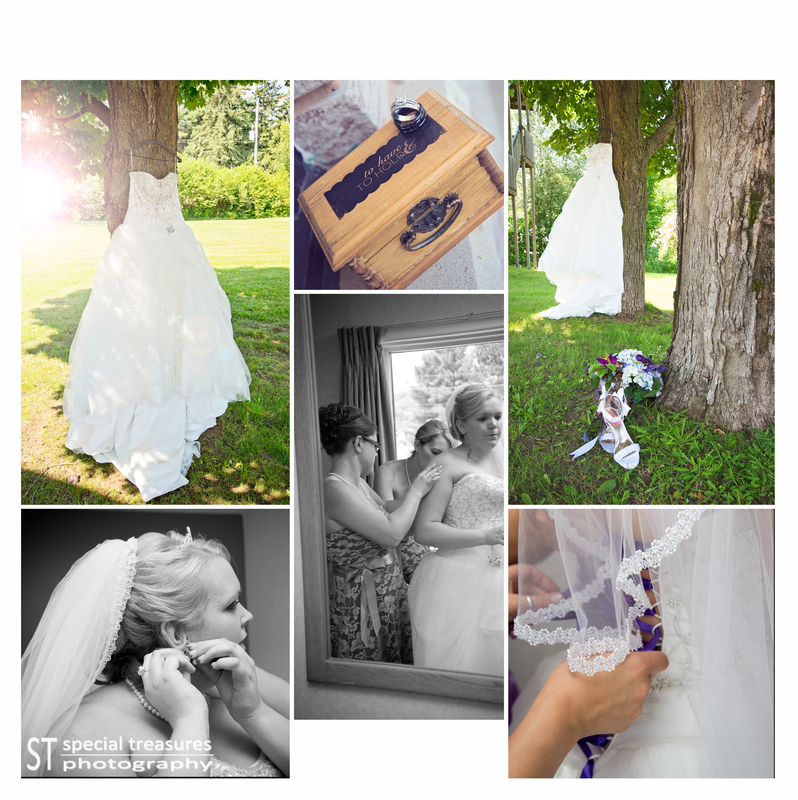 We started off by capturing all of the details of the Bride and her girls getting ready at Brown’s Salon and the Bancroft Inn & Suites to follow. 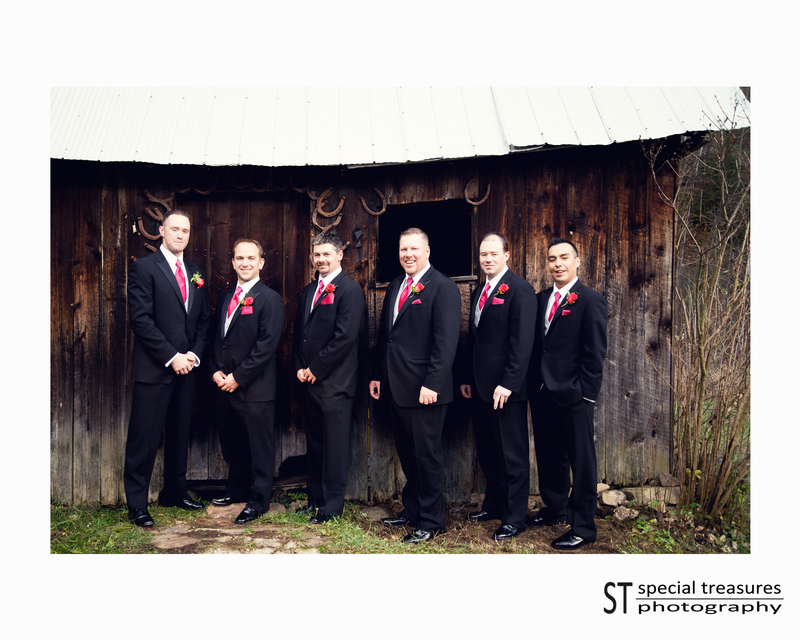 Then we headed to the ceremony at St. Paul’s Church. The sweetest little white church we may have ever seen. 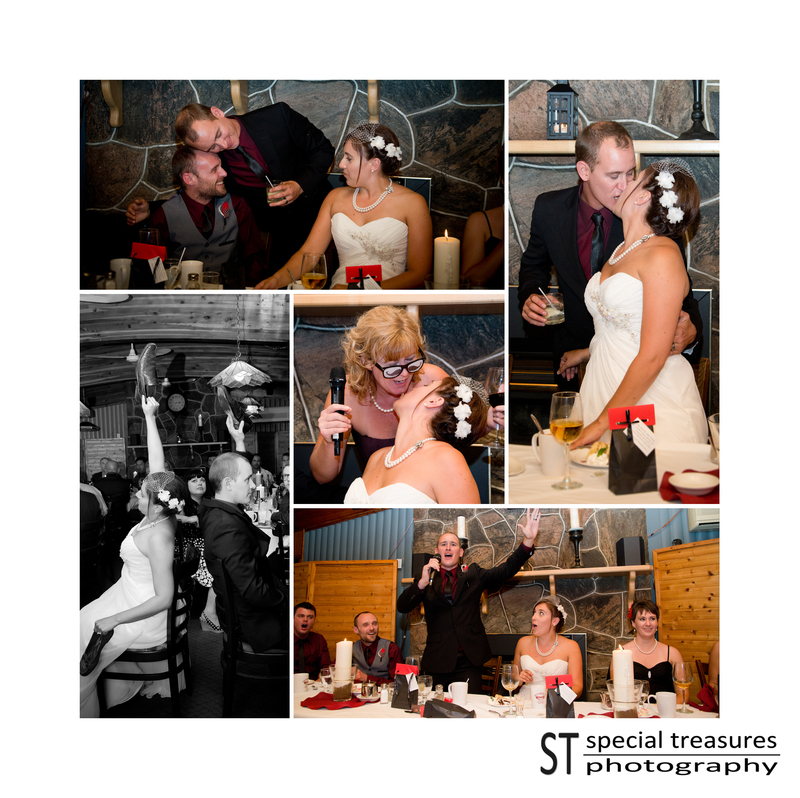 The couple shared their vows in a very intimate ceremony and marked their union with a sand ceremony as well. It was Beautiful. 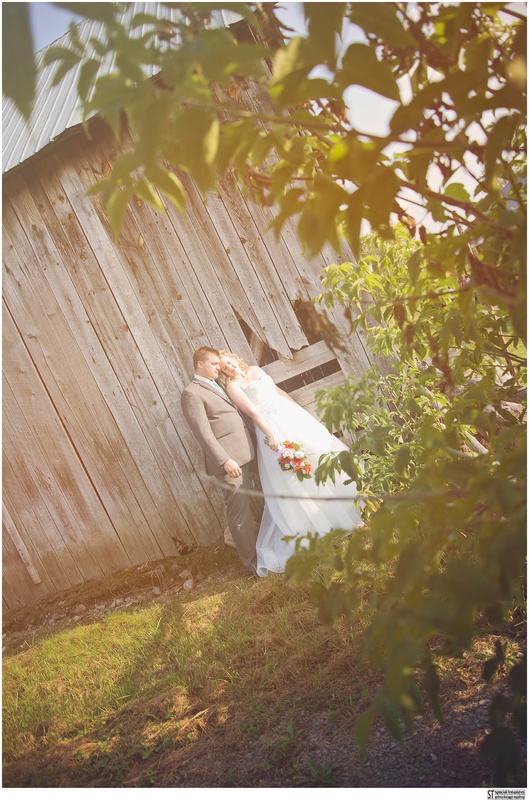 It was scorching hot but the breeze was definitely a great addition to the day. 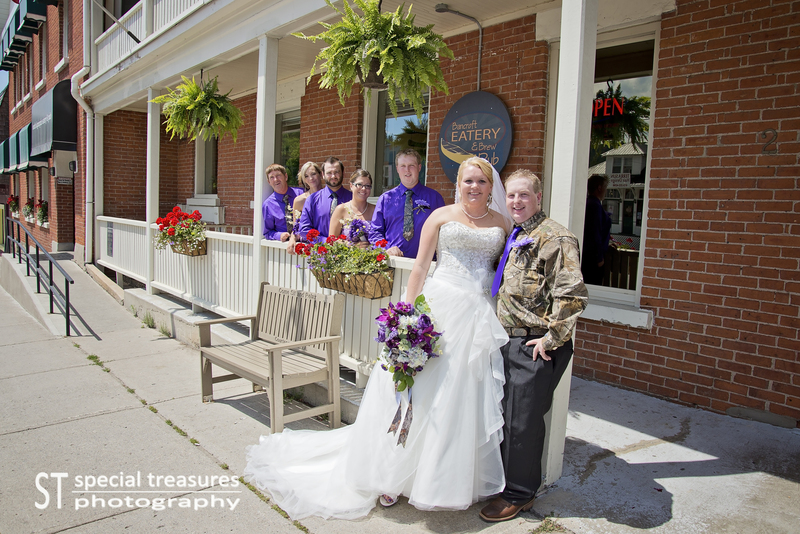 After the ceremony the couple and the wedding party stopped at the Bancroft Eatery & Brew Pub for a drink before we headed on to our formal location at the park. 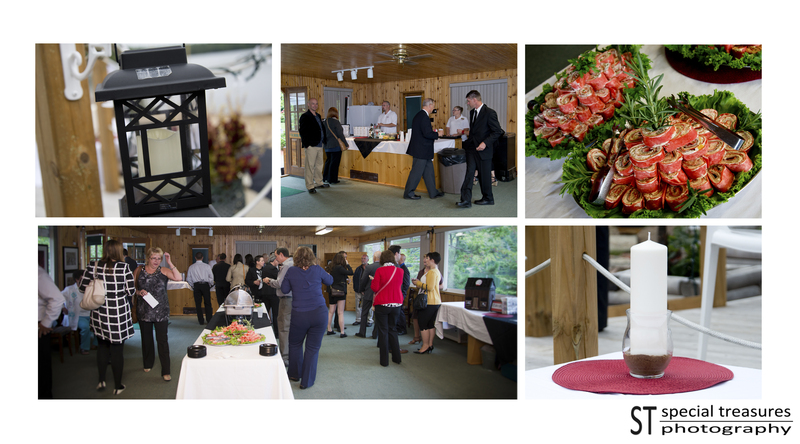 We ended formals and started the dinner and reception at the River’s Edge Golf Course. 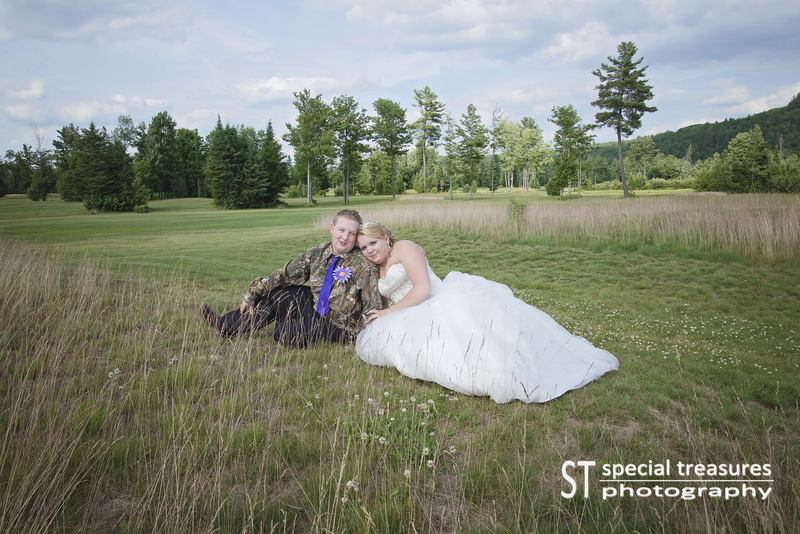 We wish this couple the absolute best future together and had a great time being a part of their day. Congrats again! 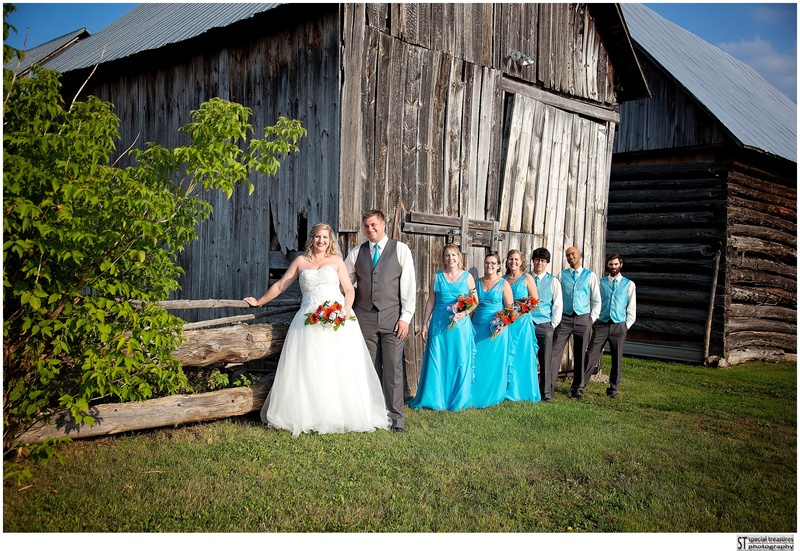 Julie and Billy’s Intimate Wedding Left Us In Awe! 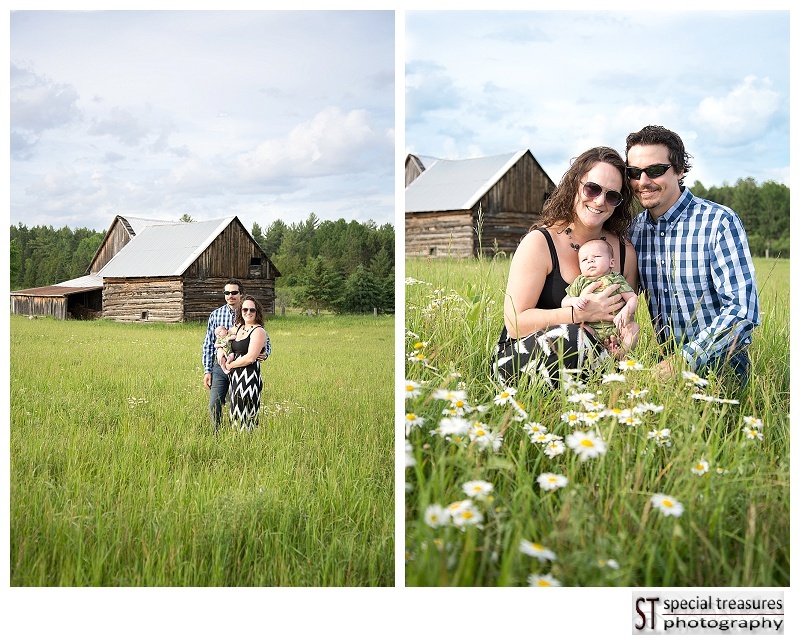 Julie and Billy were such a fun couple! 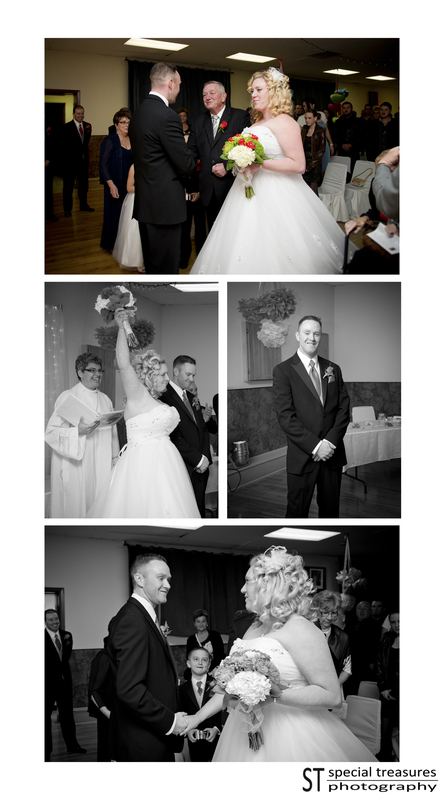 From the moments before to the moments during their Wedding we were in absolute awe at their approach to being Wed. 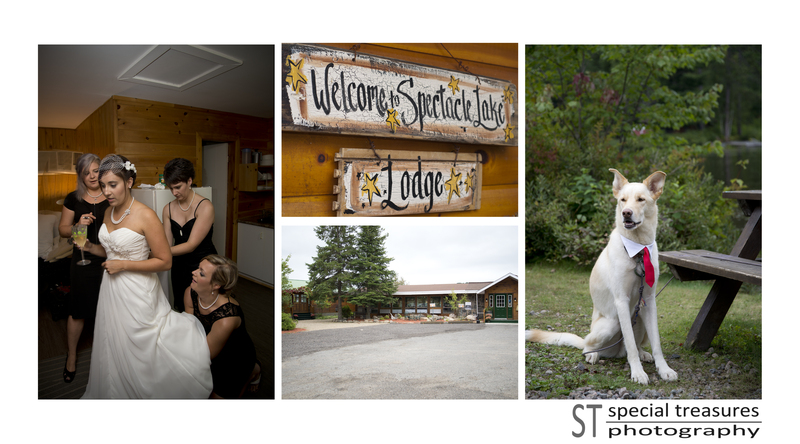 It was a unique wedding that was held at Spectacle Lake Lodge. 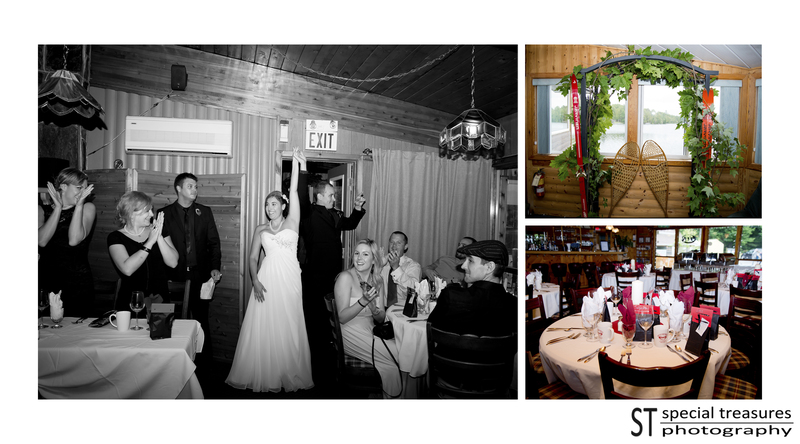 Both the Bride and Groom were always completely in the moment. I could see them taking mental images of their day and soaking up all of the Love and warmth that surrounded them via their family and friends. 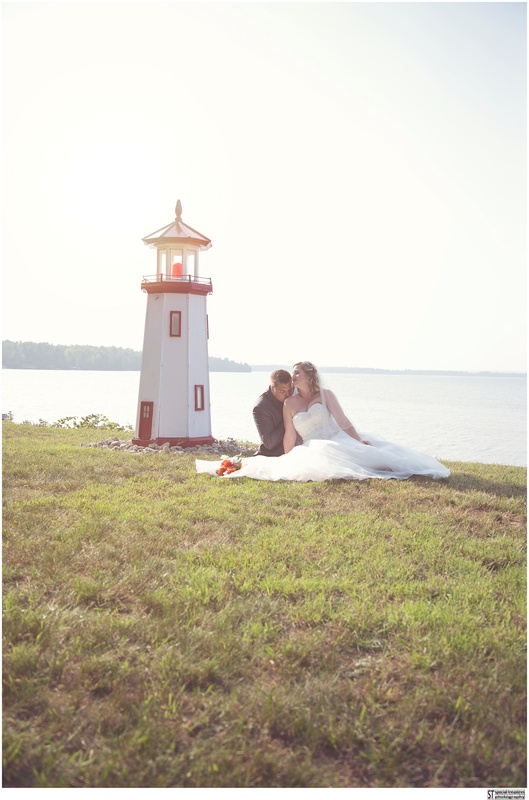 There was much to love about this wedding, from the bouquets and boutonnieres to the ceremony set upon the beach… it was such a free-spirited event. 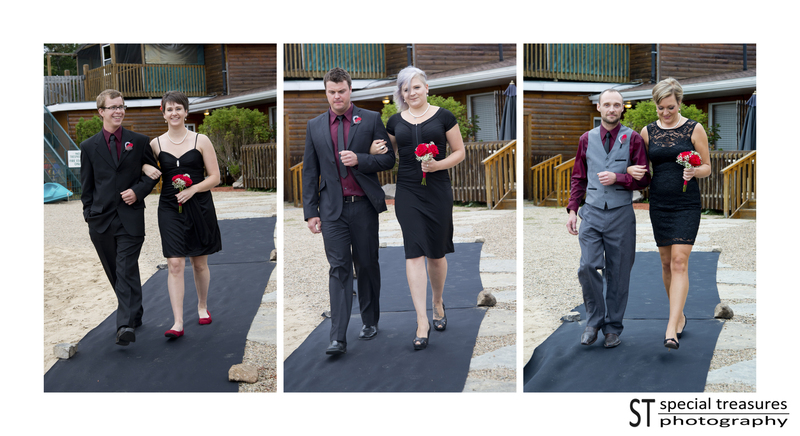 The Bridesmaids wore their personal choice of a black dress and the Groomsmen wore their own suit with matching shirts and Skinny Ties… So So Awesome! 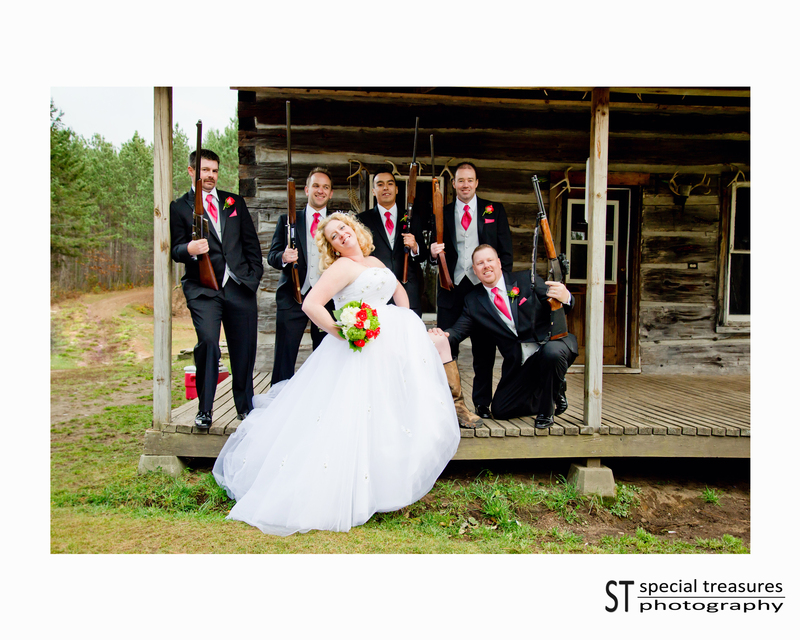 You could tell that everyone who stood in the wedding party was chosen for their role in this couple’s life. 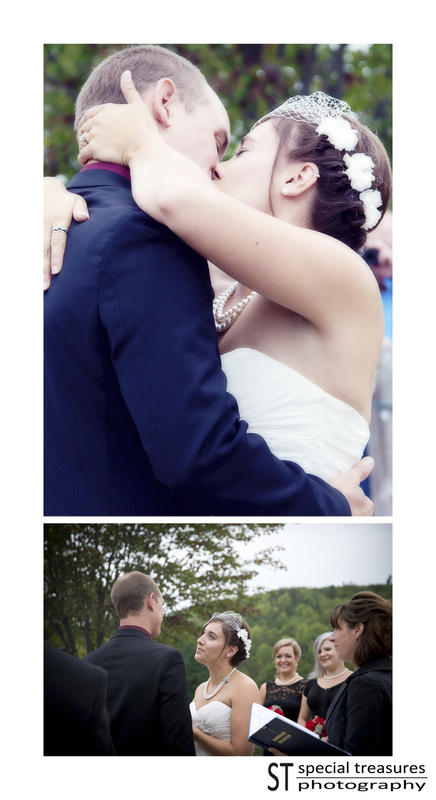 They all meant so much to this couple. 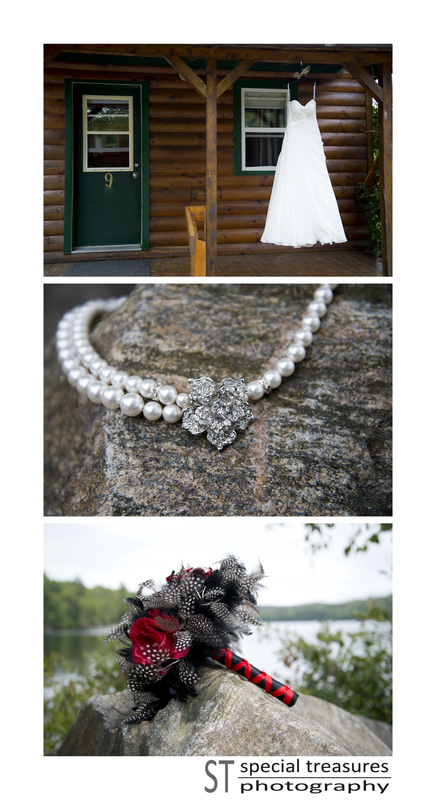 Both the Bride and Groom’s family was equally as important to the union and while getting ready at the cabins by the water, I watched Billy share a hug with almost everyone who walked by. 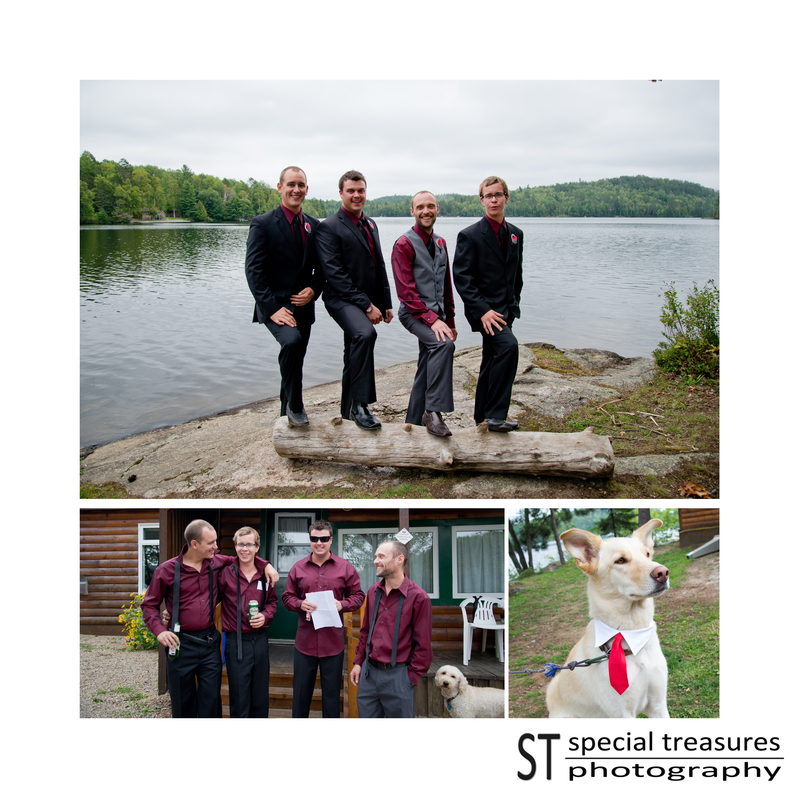 The couple’s dog Bear was even sporting a tie for the ceremony and later an evening tie that was just the type of special touch that this wedding presented. Everything was elegant yet very meaningful. They had soaps made as favors and even the soap was a custom scent! We were very sad when we got home and realized we left them behind at our seats! 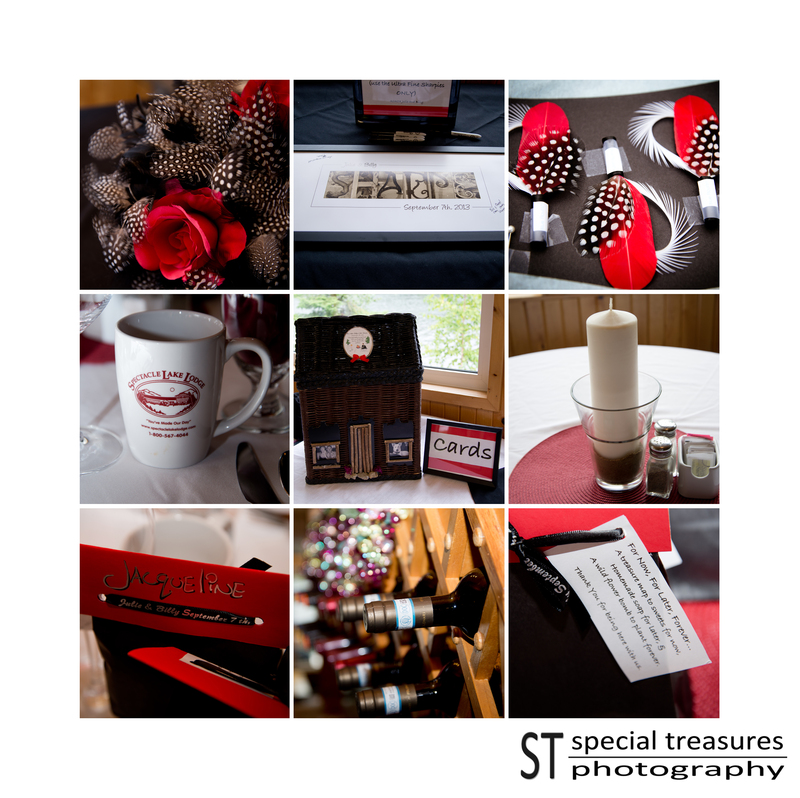 Julie and Billy gave one another thought out gifts before the wedding. 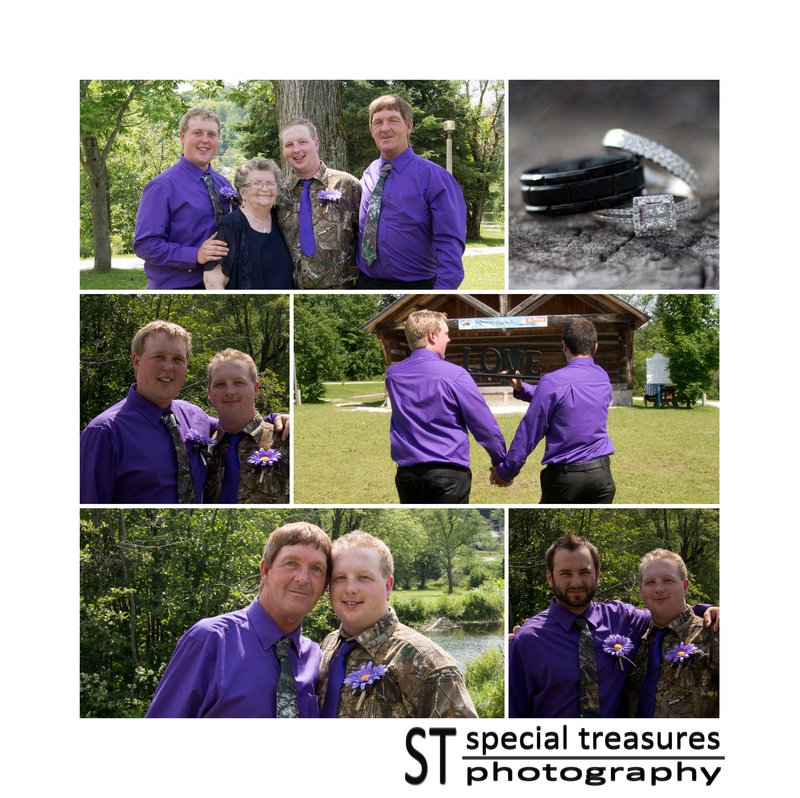 I delivered them both and felt honored to capture these special moments. Watching the expression on Billy’s face as he opened his was priceless! I think he truly enjoyed having a personal photographer that day. Although he did tease me A LOT he also let himself be open enough that I could capture who he is. 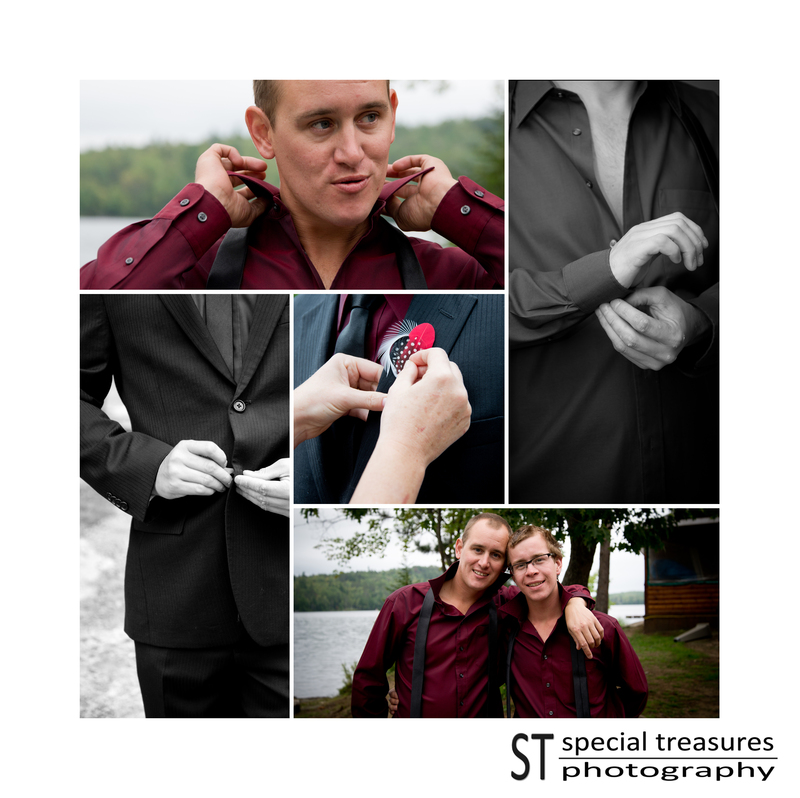 It is always a challenge to get a Groom to let himself be captured in the moment, and when Billy was in the moments of his wedding day he was an open book. 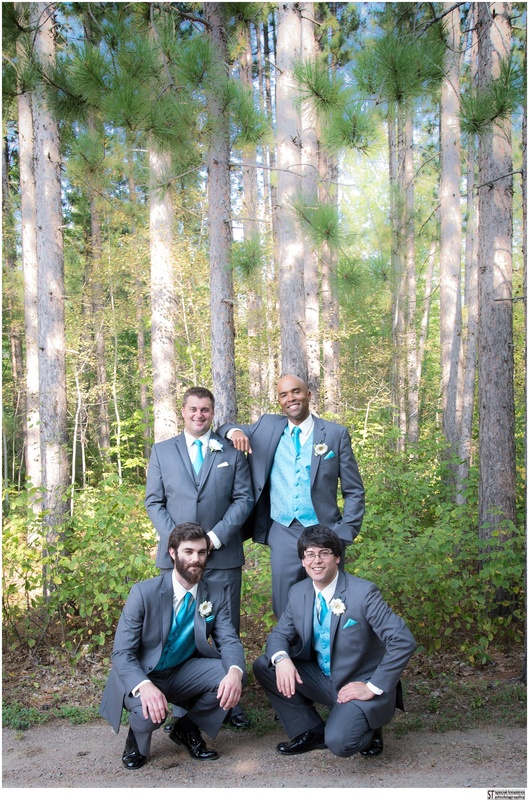 I really enjoyed being able to see his friendships with his groomsmen too. Lisa says the same about working with Julie and her girls. 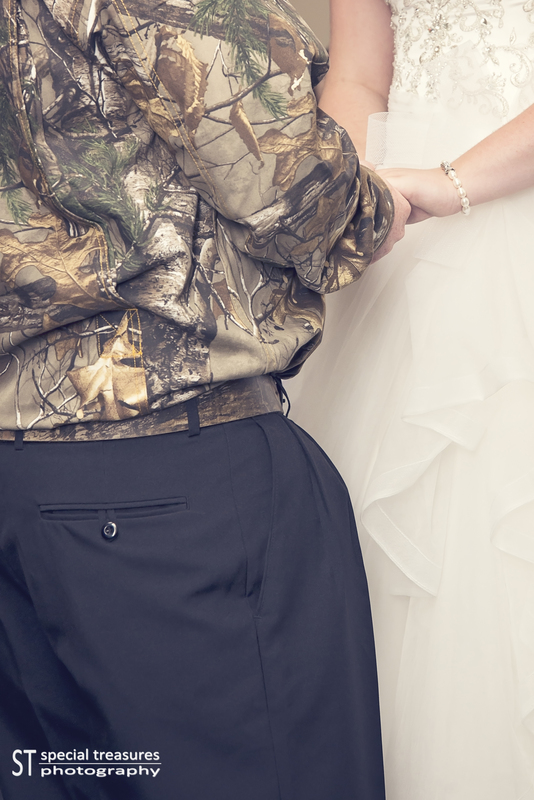 It was like they were completely present for every part of this special day. 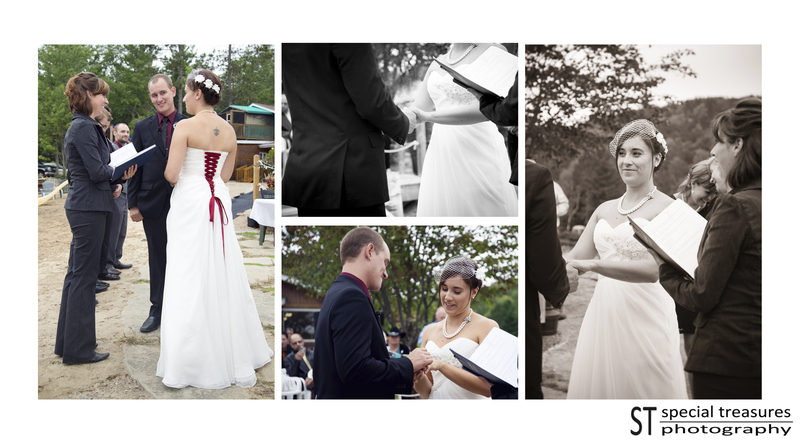 Again, It was an Honor to share in the getting ready portion of this day. 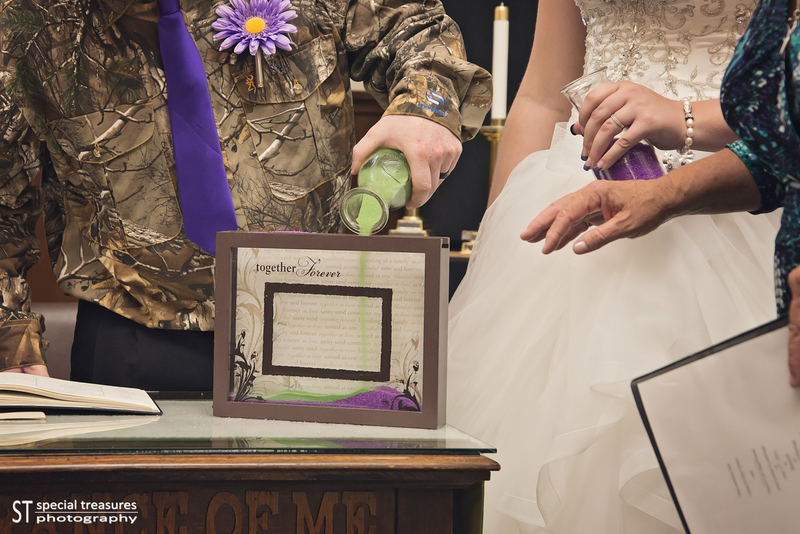 Saying “I DO” came next. 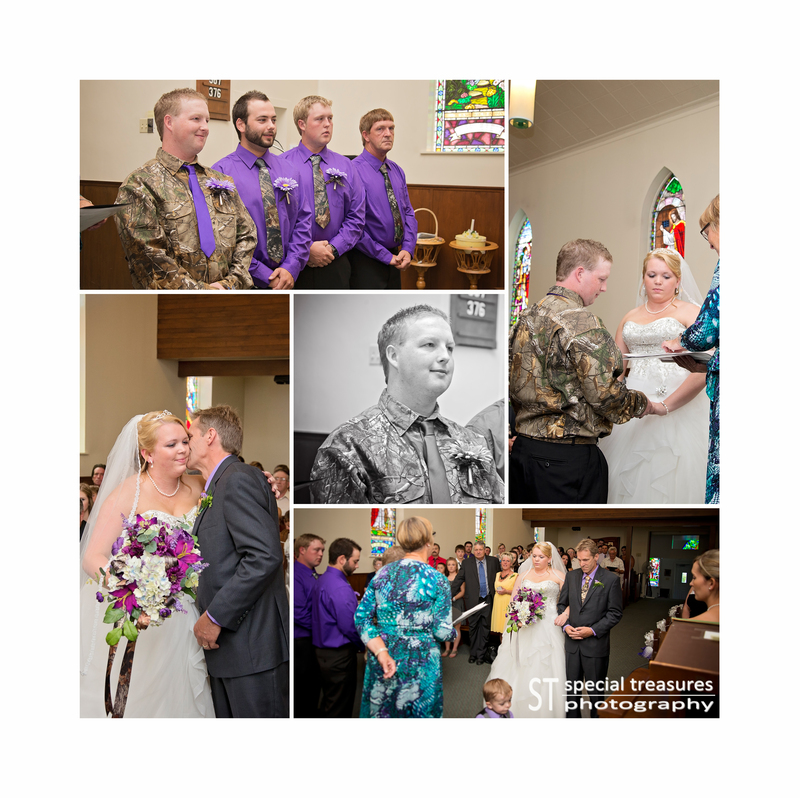 The commissioner, Amber, was the perfect person to officiate this wedding. 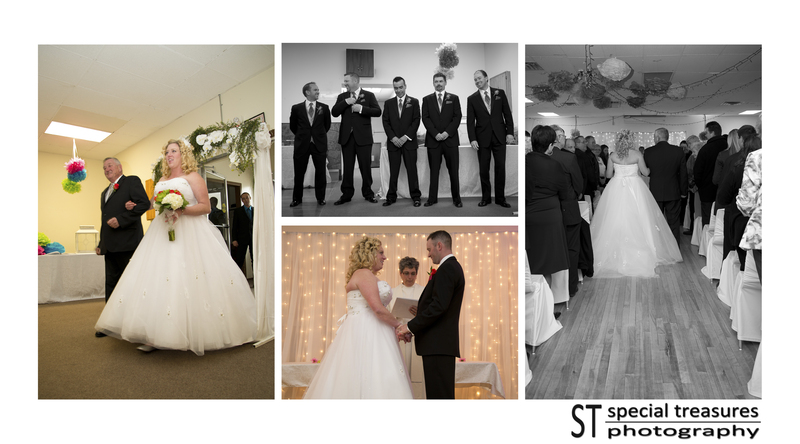 This is the second time we have had the chance to work with Amber and, just like the first time, she completely organized every part of the ceremony specifically for this couple. 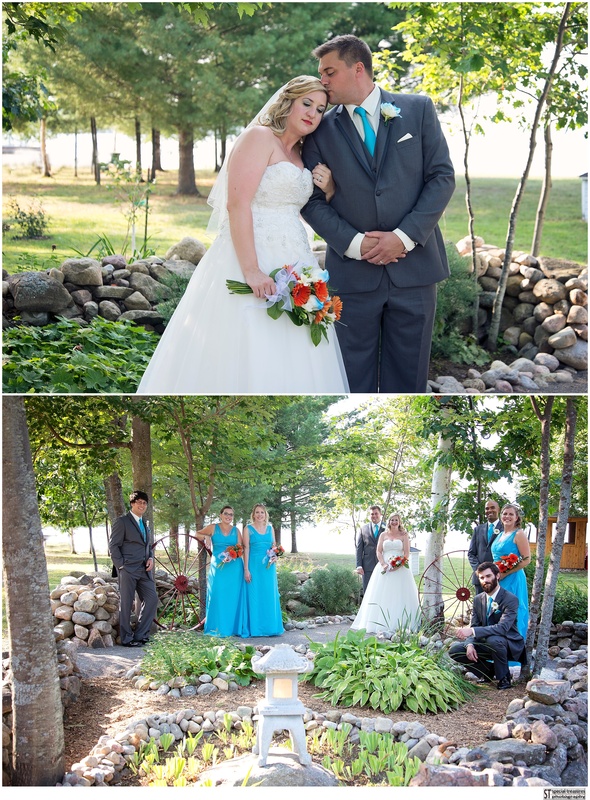 She allowed the ceremony to bring their Love to life for all of their guests to witness. 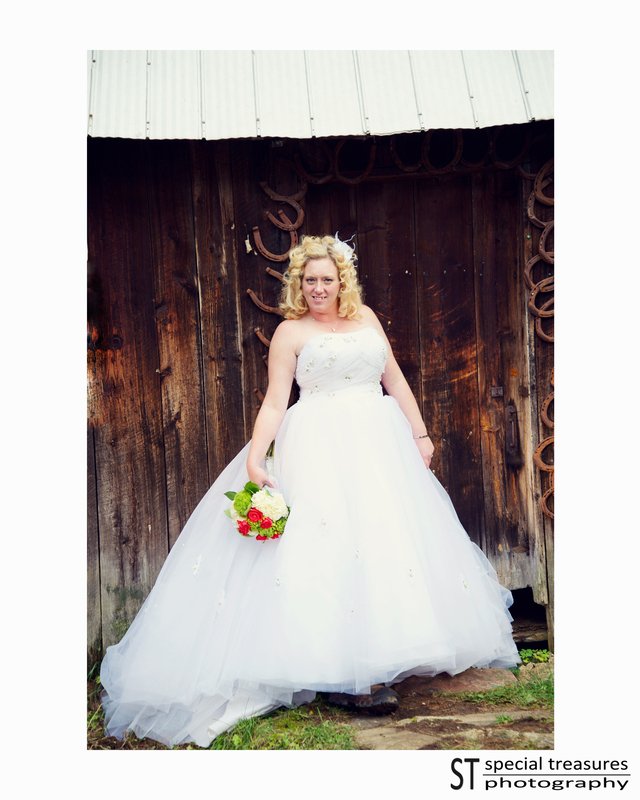 I would recommend her to any couple who are looking to have a custom-made ceremony. I went searching and found her personal website. I just have to share it! 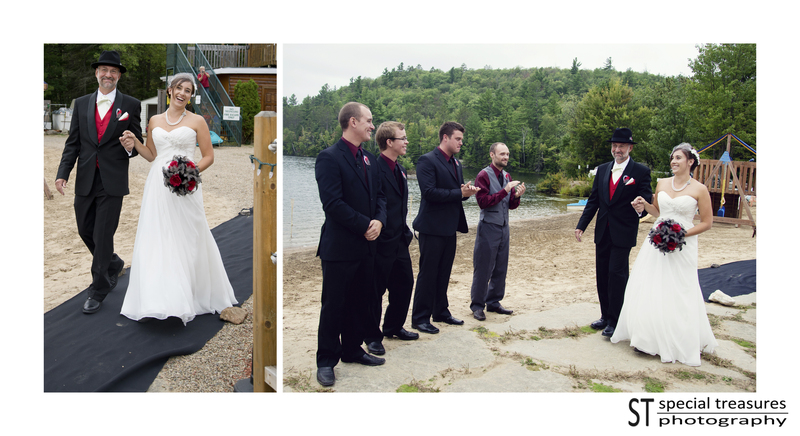 http://www.algonquinweddings.com/ The ceremony was set on the beach and in every picture that I have that includes the wedding party, I can see the excitement and involvement in their faces. They were standing up for a couple who was meant to be together and they knew it. Bear sat upfront with the Parents. Formals followed shortly after the ceremony and that is when I really got a feel for where this couple gets their values. 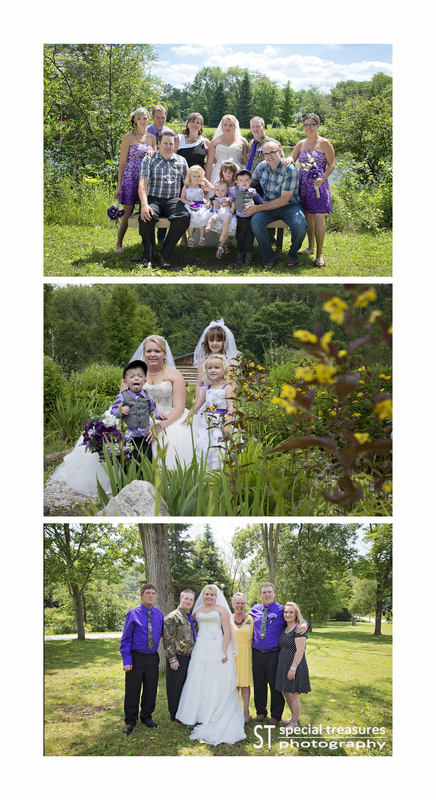 The family photographs were more candid than posed, even when we were posing them for traditional photos. 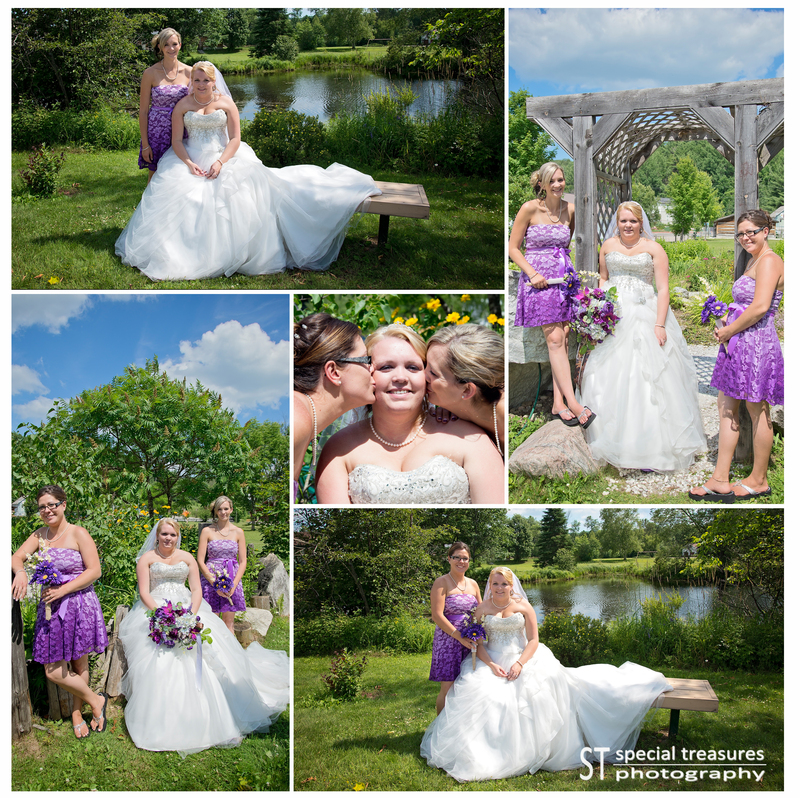 There was no staged moments to this wedding and it was very heart warming! 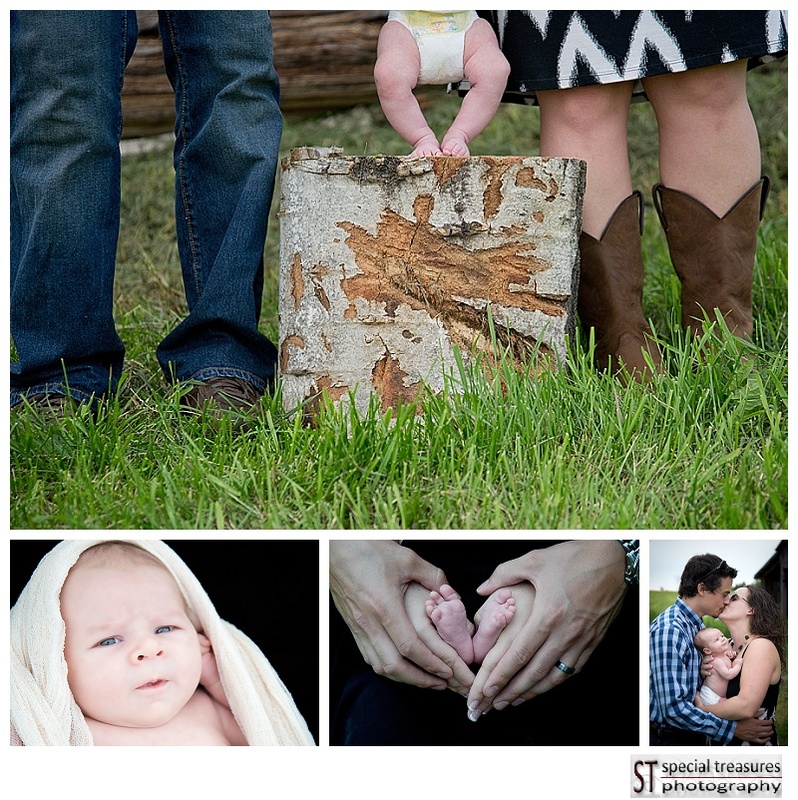 There was a special moment that stands out for me as a photographer. 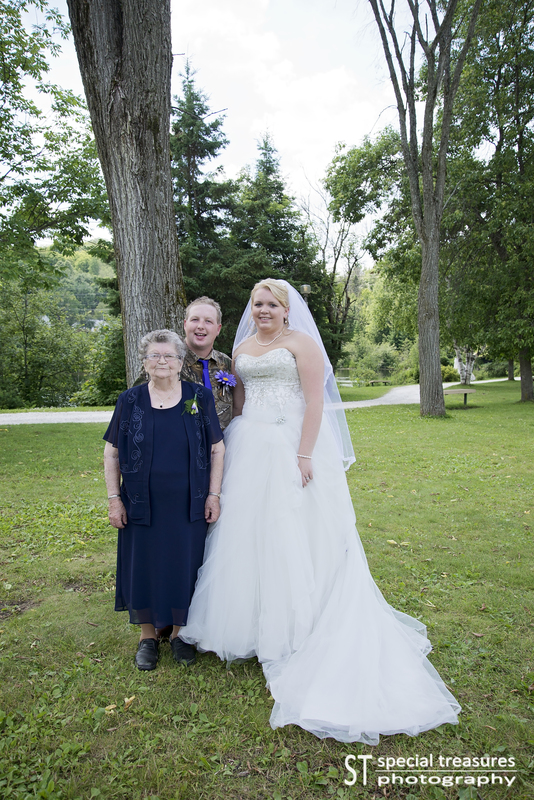 Although I only include one picture of the bride with her grandmother in the blog, please note that there are so many more. 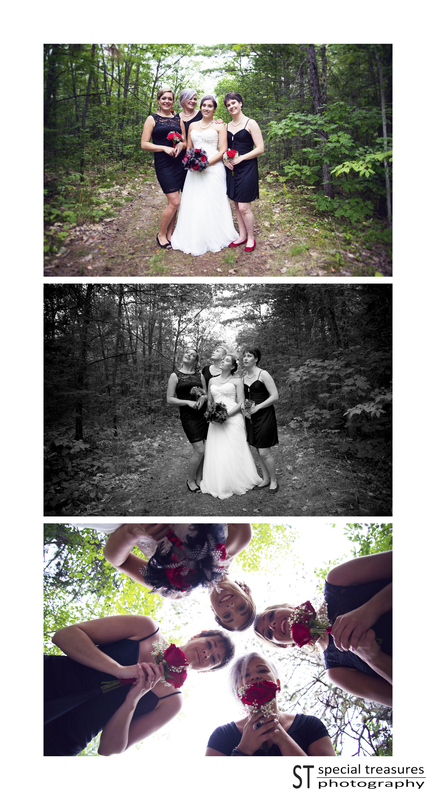 I captured a connection between these two women that I have yet to capture at any wedding. 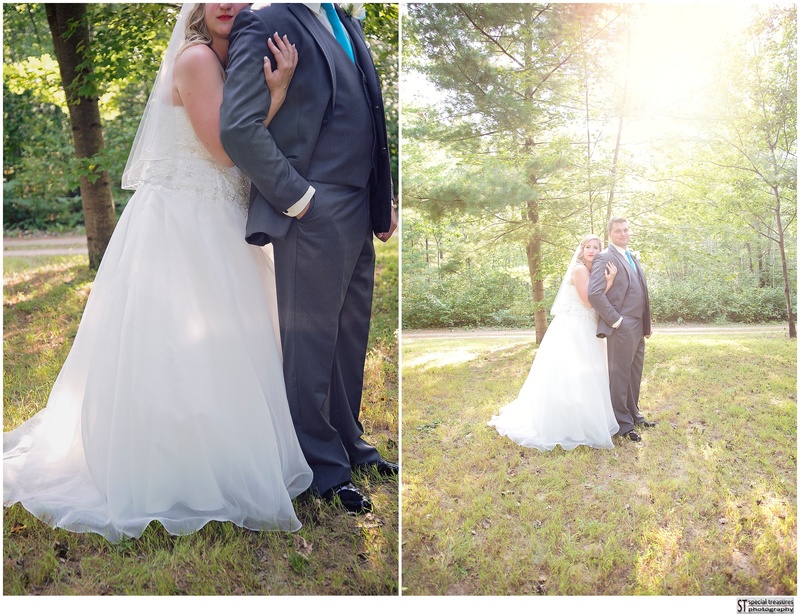 Two very connected souls had a special moment during their formal shot together. I still get teary just thinking about the moment. I can’t even explain it in words but it was absolutely beautiful. 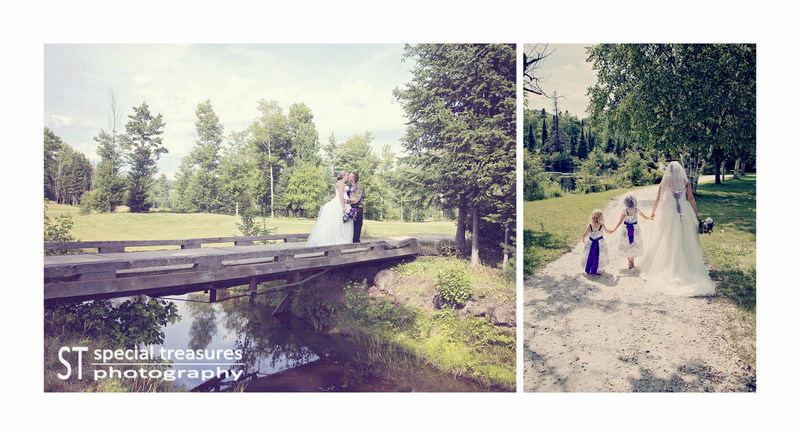 The couple and their entourage got their formal pictures taken on a little path that lined the water. 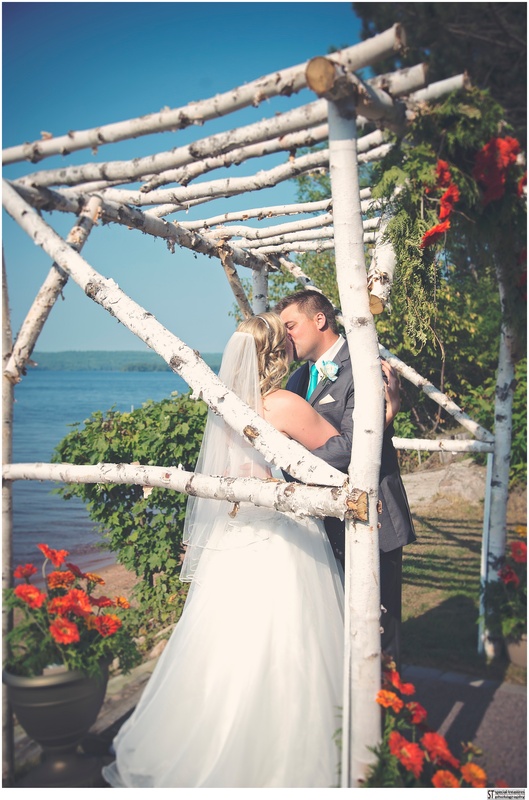 It was a very tranquil setting with greenery that left openings for the waterfront to peek through… Just gorgeous. It was a fun experience for us and the group was easy to work with. They were just themselves as goes par with the rest of the day. Friendships as strong as these make for great photo ops! 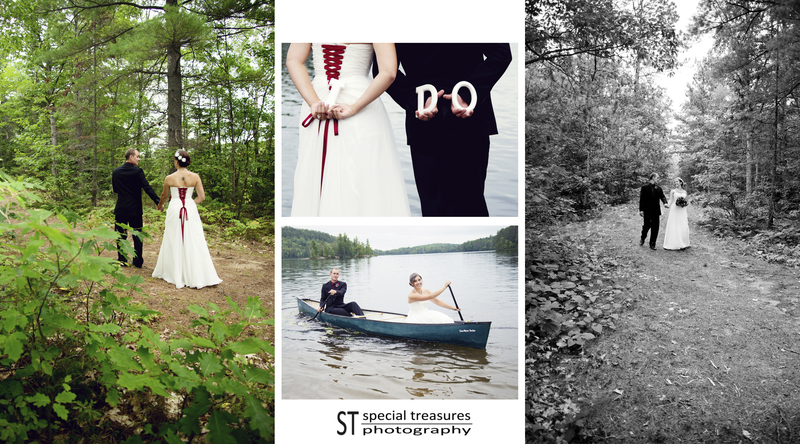 The couple shared some special moments in front of the camera and even got in a canoe for a photo. 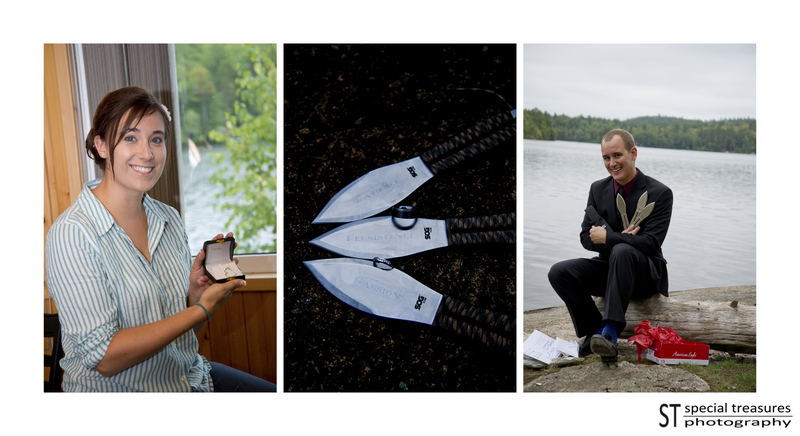 It was amazing to see everyone on their toes ,worrying about the bride, as she headed out in the canoe. I know this was a dream come true for Lisa because she loves being out on the water herself. 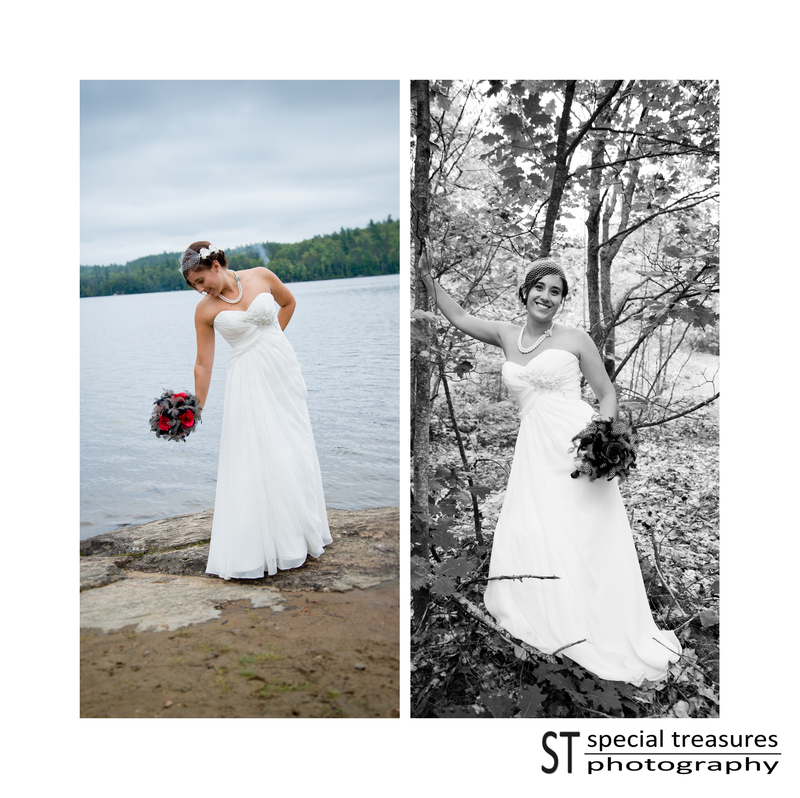 It was about capturing the couple as themselves and this beautiful bride felt herself out on the water. 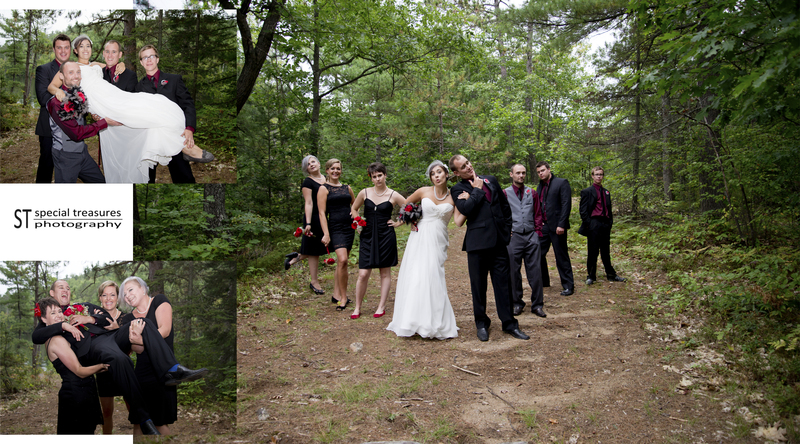 I almost forgot to mention that she wore moccasins as her wedding shoes. 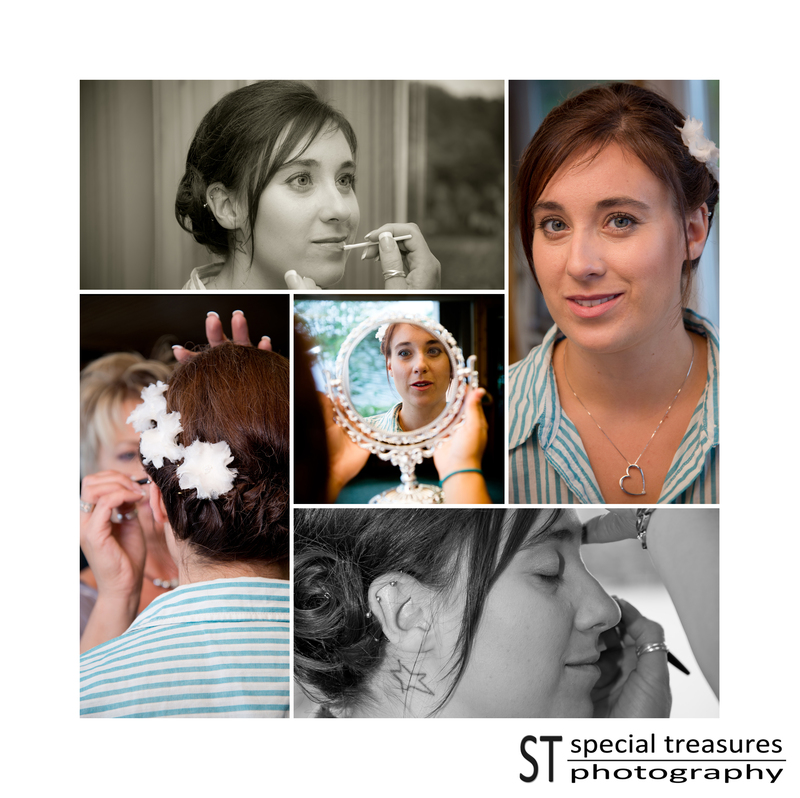 They were a perfect addition to her outfit and another statement to her individuality… Another reminder of how much she wanted to be “herself” on the most important day of her life! LOVE IT! 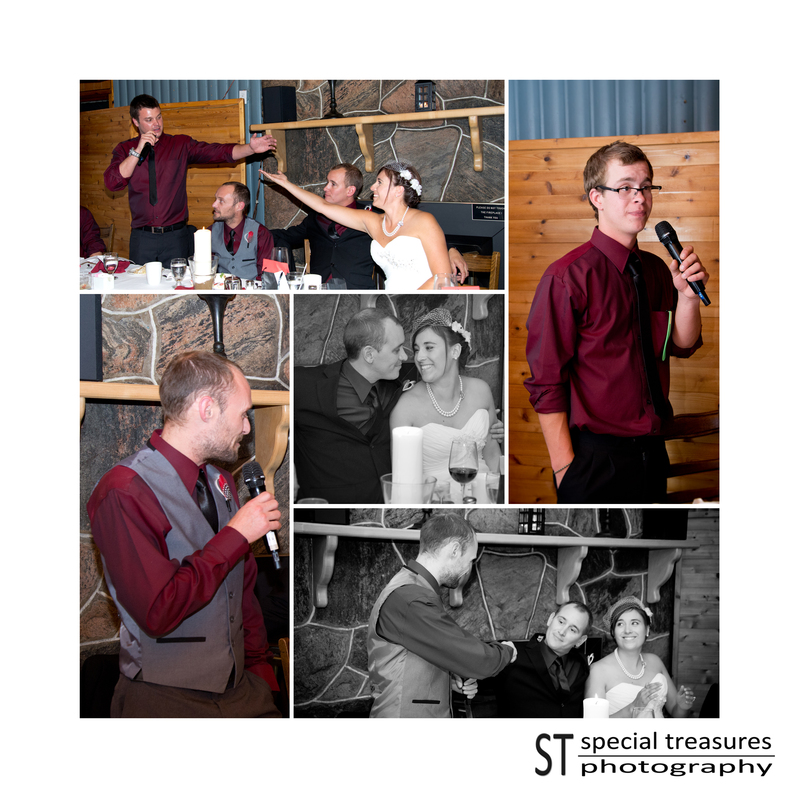 Spectacle Lake Lodge was a great venue for an outdoor wedding, The dinner was held indoors and the staff put together a very intimate area for the couple to display their union. The meal was fabulous. The best Bison we have ever had. I believe all of the main course meats were cooked in a smoker… it was a meal that left you wanting more… no matter how full you became. During the dinner one of the Bridesmaids, Dasha, hosted games for the bride and groom. It was an absolute riot! 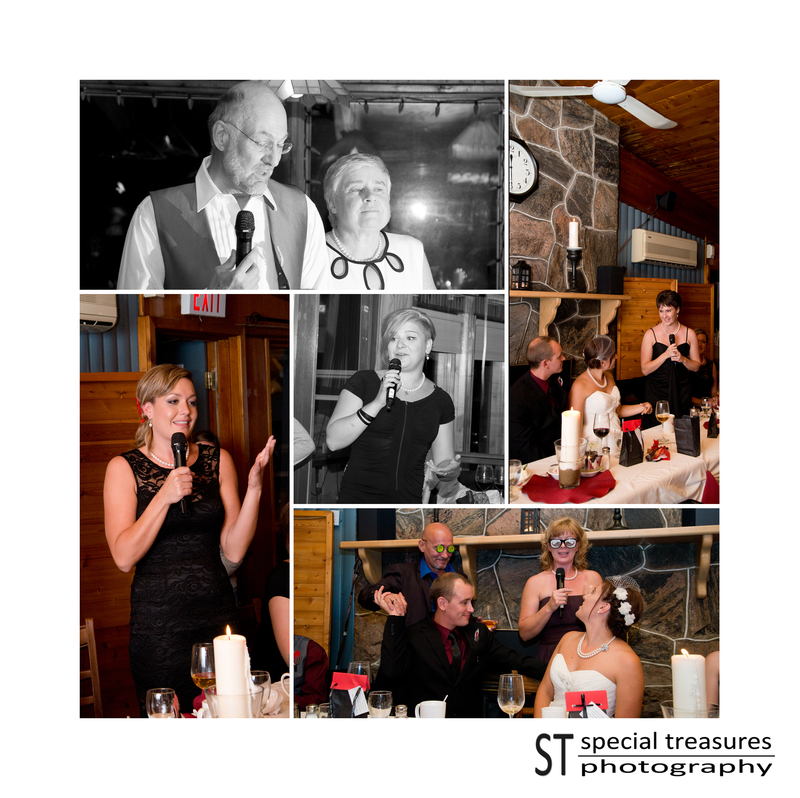 The speeches were very moving and brought the couple’s personalities into the spotlight. 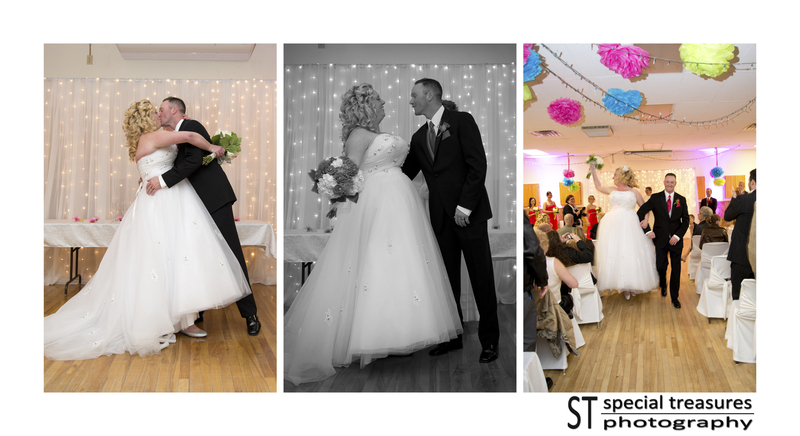 Everyone who spoke seemed to speak about how this couple goes the extra mile in friendship and in their own relationship with one another. That gives us so much happiness and excitement for them to share a future together. 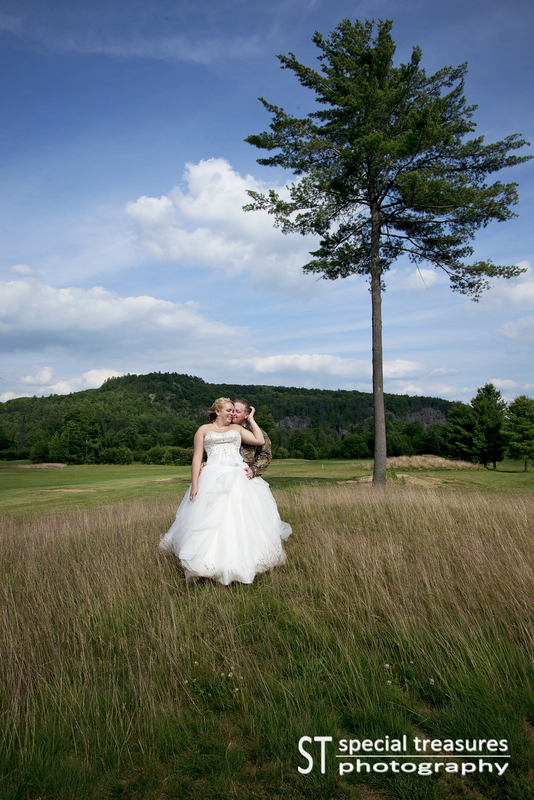 Overall, this wedding was as down to earth as the couple. It reflected their past, present, and future together. It showed the importance on everything that is meaningful in life and, without sounding to corny, left us in AWE of LOVE itself. 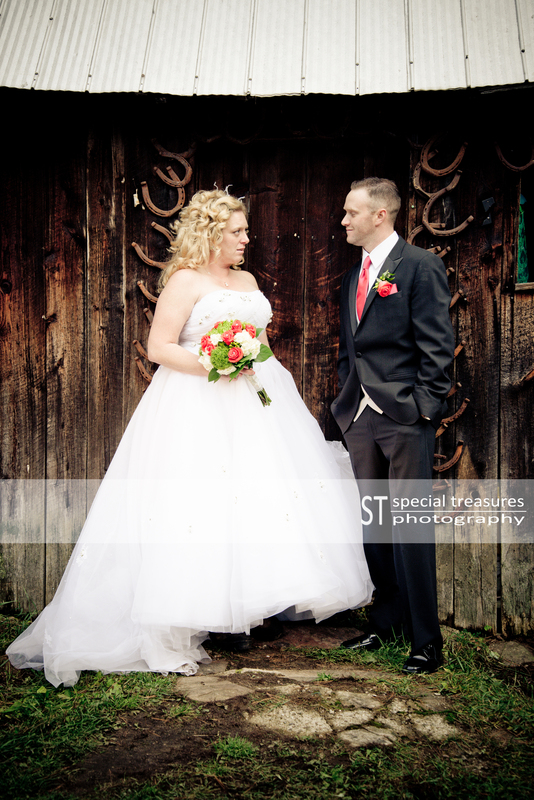 We wish them the best future together and know they are a perfect match for each other! 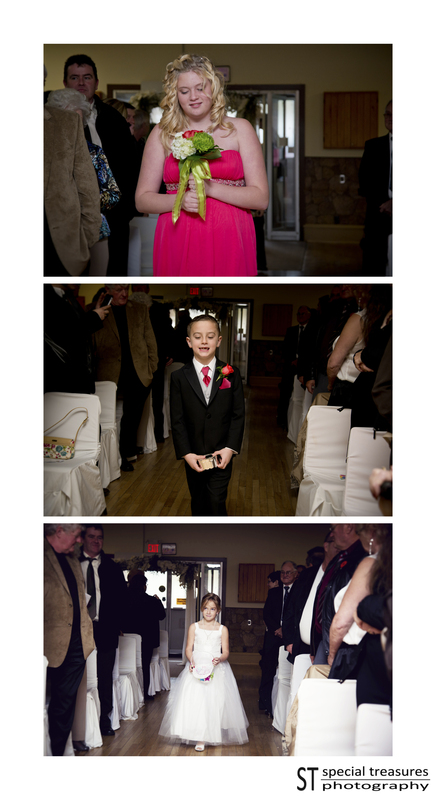 Congrats … and Billy after reading this I hope you don’t think I was TOO CROSS (haha… he really liked poking fun at me) !